Pat Quinn is a Cadwalader lifer. 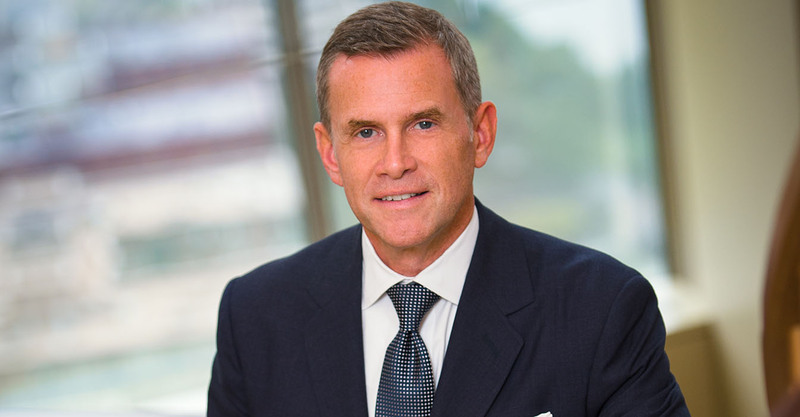 He summered at the firm and joined it for good when he graduated from the University of Virginia Law School in 1988. And read that “for good” in every sense of those words – as not only has he stayed and helped build the firm’s renowned securitization practice through tides high and low, as a firm leader he’s also displayed a quiet courage in charting a course characterized by a laser-sharp focus on the firm’s “natural client base” of financial institutions, corporates and funds; a commitment to core values; a focus on profitability over raw size; and a future that is far more inclusive and with expanded pro bono partnerships with clients. If you had to sum up Quinn, you’d be likely to use the same word that drew the Queens native to the firm: “gritty.” That can seem a bit of a paradox for a firm long considered one of the most rarefied, but it’s actually grit that helped the firm survive and thrive after the financial crisis. “For such an old firm, with such a great name and such great tradition, we have never had any sense of entitlement,” says Quinn, who joined the management committee in 2006 and became managing partner in 2015. Quinn says his firm was founded on grit. Wall Street’s oldest law firm was founded in 1792 by John Wells, a self-made man from Otsego County, N.Y. Orphaned at a young age, Wells worked his way through Princeton University, then ran the business by himself for 26 years before teaming with George Washington Strong, a prominent New Yorker, to form one of America’s first law partnerships. 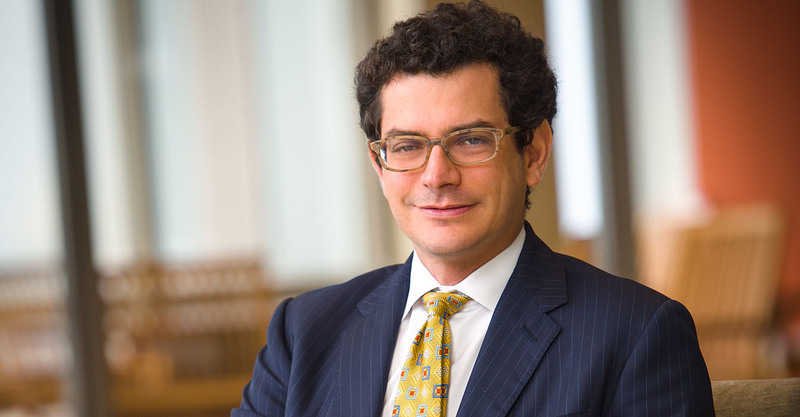 As a result, under his leadership Cadwalader has been distilled from more than 500 lawyers to a tight 400, while increasing its profits per partner by 19 percent in 2017. The firm’s values are about much more than money, yet it’s that improved financial performance that has the firm back in growth mode with recent hires of top partners like dealmaker Steve Fraidin and offering associate billing bonuses that top even Cravath. It’s a new day for a very old firm. Lawdragon: How does the firm’s history influence your leadership today? Patrick Quinn: The history of the firm is a wonderful thing. It’s truly a unique asset. You might think of a firm that’s 225 years old as having so much history that it’s bogged down by tradition. And we are anything but. People ask, “How does a law firm or any institution exist for such a long period of time?” We can’t continue to exist and thrive without innovating, without changing with the times, without being a little bit out in front of trends. That is something that we really pride ourselves on. It’s always about, “What is the next thing, and how do we do it a little bit better, a little bit different?” And it’s always with our clients in mind: how do we distinguish ourselves in the eyes of our clients by thinking about what’s next for them? LD: Do you feel the firm has the best of both worlds, then, with the storied history as well as innovative drive for today’s challenges? PQ: That’s right. This is not the sort of place where people think, “Well, I’m at Cadwalader, and therefore, I can just sit in my office and the clients will come knocking. We have always been – I’ll use the word “gritty” – in terms of our approach to client development. It is very much a part of the ethos of Cadwalader, that even with clients for whom we have worked for decades, every new matter is treated as though it’s our first chance to make a great impression on the client. LD: I love that. Gritty Cadwalader. And that certainly distinguishes the firm from many other historic firms. Is that part of what drew you to the firm? PQ: We don’t back away from that. Cadwalader has this long history, but one of the things most people don’t know is that the founding partner of Cadwalader was a self-made man who was orphaned at a young age. He did not come from a big, prominent family, though some later partners did. I don’t know if it’s the spirit of John Wells or what, but that really has influenced the way the partners think about their practices in the firm. Looking back, there were a number of factors that attracted me to Cadwalader out of law school, but there is no doubt that the gritty attitude was a draw. It influenced my decision to join as a summer associate and has kept me here ever since. LD: What was your vision of the lawyer you wanted to be when you decided to go to law school? PQ: I’m the first lawyer in my family. Youngest of a big family. We had other professionals in my older siblings. We had doctors and teachers and musicians, but I was the first lawyer. I wanted to be a lawyer at an early age, but I’m not sure I really understood what that meant until I got to law school, and then probably not fully until I actually began practicing. LD: Do you remember any of your early experiences at Cadwalader that informed your beliefs about it and convinced you to stay? PQ: I remember those very first transactions I worked on in the early days of securitization. I really enjoyed that. First of all, I liked the clients and the other lawyers that I was working with. But the transactions were challenging in a particular way because everything was new. The transactions were – and still are – complex. Back then, because many of those transactions were firsts of their kind, there was a lot of room – and a lot of necessity – to really be creative in how you structured the transactions. And because the area was so new and was evolving so much, by the time I was a second- or a third-year associate, I really started to feel like I had some expertise. LD: Who were the senior partners who were leaders in developing securitization and why did it happen at Cadwalader? PQ: The late Rod Dayan, who was then chair of the firm and a great mergers and acquisitions lawyer, was considered to be one of the real leaders and innovators in securitization. Freddie Mac was a very early client in this space, and there were a few others. I think Cadwalader was just the right combination of creative lawyers, really innovative clients and a position as one of the premier Wall Street firms working for the large financial institutions that were creating the market. We were excited about embracing something that was brand new. LD: At what point did you start taking a leading role in projects? When you were still an associate? If you look at our partnership, the success that our youngest partners are having is emblematic of the approach that we take to the practice overall. Richard Brand, for instance, is extraordinarily successful at a very young age. We’ve recognized him by making him co-chair of the corporate department. LD: On securitization, can you explain how that was rewarding for you as a lawyer? With M&A, you create a larger corporation that fosters efficiency and gets more products to more people and more resources. What does securitization do? PQ: Securitization provides much more efficient financing. It provides efficiency by tapping the capital markets to finance things like people’s homes or commercial real estate or those growing companies that you’re talking about. The broad capital markets can match up many different investors with different appetites for yield, risk and duration in order to provide financing with efficiencies that no single capital source could provide on its own. LD: Are there some transactions you’ve worked on that you consider particularly memorable? PQ: I’m certainly very proud of the transactions that we worked on that helped restart the capital markets coming out of the credit crisis. The crisis really hit every firm and every business. The fact that we had a substantial practice in securitization probably gave us a clearer view of what was coming than other firms may have had. And it gave us an opportunity to recognize a challenge and take it head on and do what needed to be done, both to continue to service our clients and for the careers, frankly, of the young people who were coming up. What I’m proud of is that the firm recognized that securitization was a discipline that was going to continue to exist – even though there was a much-diminished deal flow – and that securitization structures were going to be one of the really important elements of bringing the economy back. We didn’t lose a single partner. We kept the team together and then, as the market started to recover, we were there helping our clients restart the markets. LD: Was there ever a feeling that the firm was threatened by the financial crisis? What was your perception, as a partner, of what the road forward would be? PQ: Look, it was a huge challenge for every business, not just law firms. It would be silly to say, “No, we never worried about anything.” I think there was, certainly, a core confidence in the firm’s ability to innovate and adapt to changing markets that kept everybody together. If you’re in a healthy practice and you have established clients and they’re keeping you busy, that’s a wonderful thing. When things are choppier and you get a chance to band together with your partners to solve hard problems, to go visit new clients, to essentially recreate a practice, it’s particularly gratifying. We learned some lessons about collaboration that we haven’t forgotten. They still inform the way we think about the practice and the way we think about working together today. LD: What are some of those lessons? PQ: The biggest one is that we produce better results for our clients if we can field diverse teams of partners and bring in all the expertise across practices. It’s cross-pollination of ideas. Even as we’ve gotten busier and busier, we have been careful to make sure we have structures and processes that encourage partners to sit down – away from deal documents, away from active client matters – and just talk about what they’re seeing and what opportunities are emerging for our clients and for us. LD: What is your focus today when you think about the firm and where you want it to go? What areas do you most want to strengthen? PQ: Well, the firm wouldn’t exist if not for our clients. You have to start with Cadwalader’s traditional, natural clients. We have a great roster, and we serve industries that have tremendous opportunities and a tremendous need for creative lawyers. We represent virtually every major bulge-bracket financial institution and lots of other financial institutions. We advise a lot of large corporations. Increasingly, we work with a lot of funds, whether private equity funds or hedge funds. We think about who those clients are, how they view Cadwalader, the kinds of assignments they will look to Cadwalader for, and then work to get even deeper and even broader in our ability to service those needs. We’re emphasizing practices that service financial institutions, corporates and funds – their transactional needs as well as regulatory and litigation needs. We have great teams in all of those areas, but we’re also looking to get deeper and broader because I think there are opportunities and challenges for our clients in all those areas. We are very focused on organic growth: We made nine new partners last year. But we also have a healthy population of partners who joined the firm from other firms, and I think every time we have one of those partners join us, we get smarter. LD: What role do your international offices play? PQ: They are a reflection of the practice strengths of the firm as a whole. In our London office, we’ve grown in practices where the firm was already recognized. We grow opportunistically to serve the firm’s core clients. Of course, our financial institution clients have international operations, which we serve primarily from our London office. Many of the larger fund clients and large corporates are in London. We are bullish on our opportunities there. A key differentiator for us is that we don’t have any ambition to be in every world capital. We think our current footprint is actually very well designed to service the kinds of work that our clients look to us for. LD: Are some of the attorneys that you worked with as a summer associate still there? PQ: Yes, absolutely. Cadwalader has a core of lawyers who have devoted their entire careers to the firm. LD: What would you say are the accomplishments you’re most proud of so far? PQ: At the top of the list, I’m very pleased with the progress we’ve made around talent development, and particularly around diversity. For four or five years we’ve been developing our sponsorship program. Virtually every firm has a mentorship program that matches young associates with mentors. Sponsorship is different. Sponsorship is a program where we have identified senior non-partners who are clearly partner candidates and who are women or otherwise diverse. And they are matched up with sponsors who are senior partners at the firm. It is the sponsor’s responsibility to make sure that protégés are being positioned to earn partnership. Not that we’re going to earn it for them, not that we’re going to hand it to them, but they are put in a position where they can work on high-profile deals for high-profile clients. Once they do, if they succeed, the sponsor’s responsibility is to make sure everybody else knows about it. LD: How do you convey to the sponsors that this isn’t just a “good” thing, it’s an important business strategy? Well, we’ve gotten the memo, we’ve read it and we’ve acted on it. That message is becoming louder and more prominent and coming from more senior places. Attracting talent – whether it’s from the law schools or laterally – has always been insanely competitive and that’s not getting any easier. I am very proud that, in recent years, we have earned some of the highest grades in the legal industry for associate satisfaction and for our summer program – for the quality of work we do, for the way we collaborate and work, for diversity and so on. LD: Whenever you stop leading Cadwalader, what will they say your era was about? What was your stamp on it? PQ: I hope it will be a purity of purpose in terms of business strategy and what we’re trying to accomplish on behalf of our clients. Knowing who our clients are and what their needs are and growing in ways that meet those client needs. From a cultural standpoint, we’ve made some nice strides toward becoming more diverse, but the job really isn’t going to be done until the management of the firm is truly diverse. Once you have a firm where the leadership looks the way that we want the whole firm to look, that ought to be self-perpetuating. And, boy, have they responded. Very talented young lawyers have stepped forward and done great things. Here is one example: Our Black and Latino Association established an Immigration Clinic a few years ago. One of the most dedicated leaders was, at the time, a second-year associate named Osvaldo Garcia – himself an immigrant from Cuba. He worked with other members of the community network and the firm to develop a training program so that lawyers whose day job is to handle financial matters could also do immigration work – asylum applications, those sorts of things. To date, we have handled nearly 40 cases. It was a real passion project for him and it still is. It worked so well that we decided to start partnering with our clients around some of our signature pro bono programs. In this case, we’re partnered with Goldman Sachs, so lots of the immigration cases are co-staffed with a Cadwalader lawyer and a Goldman Sachs internal lawyer. It’s pro bono, which is a professional obligation of every lawyer to start out with; it’s diversity, because we’re pushing this through the diversity networks; and it’s client development. All for doing something that our lawyers were very passionate about anyway. LD: You develop more ties with lawyers who work for your clients, and everybody rises. PQ: Absolutely. We have nearly a dozen different large pro bono projects that we are working on, through our affinity networks, with six major clients. We get to work with in-house lawyers on these pro bono matters whom we may have never gotten to know from billable assignments. So you have more people within our clients who know Cadwalader, see our lawyers in action and have good things to say about Cadwalader to colleagues within their company. How could that be bad?